Strategic Implementation Consulting Allows You To Plan and Achieve Goals with Vision and Clarity! Strategic is a way of thinking. . . coupling focused collaboration, innovation and creative ideas to integrate into the “core framework” for your company’s future success. Implementation is the doing part of planning and is THE game-changer to drive your business growth and profits. Research suggests 80% of companies are dissatisfied with their planning and budgeting processes. 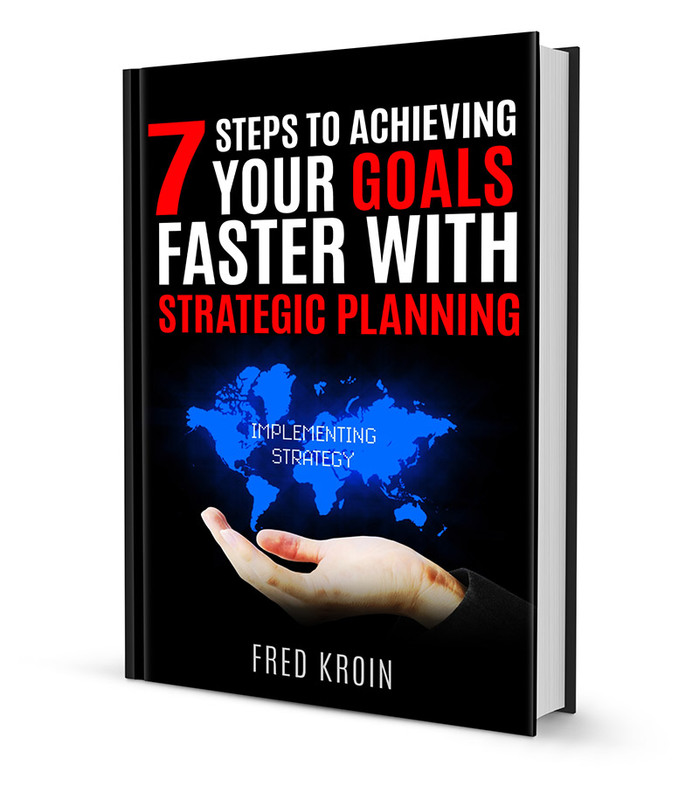 Did you know that businesses using a strategic plan and personalized consulting can often double the likelihood of survival and growth? Formal planning paired with both an implementation plan and an accountability process allows businesses to go from surviving to thriving! Provides improved control over costs, increased foresight, improved operational performance, increased transparency and insight into your business, a sense of shared purpose, and dramatic increases in revenue. Leads to strategic decisions that allow your organization to meet its goals and challenges and allows it to grow. Allows leaders to make your future happen. It’s the difference between being proactive or reactive. Establishes direction and clearly defines the purpose of your organization. It provides realistic goals and objectives consistent with the organization’s overall mission. Creates longevity of the business and increased profitability. Provides a strategy with a unique differentiation that sets your organization apart from the competition. Increases job satisfaction and motivation with a more meaningful purpose that your entire team “buys” into. TO ENSURE THAT YOU ACHIEVE YOUR BUSINESS GOALS YOU’LL NEED A PROVEN SYSTEMIZED PROCESS … THAT’S STRATEGIC IMPLEMENTATION!! CONTACT US TO LEARN MORE ABOUT HOW OUR PERSONALIZED CONSULTING CAN HELP YOUR ORGANIZATION PLAN & EXECUTE FOR A MUCH HIGHER LEVEL OF SUCCESS TODAY!